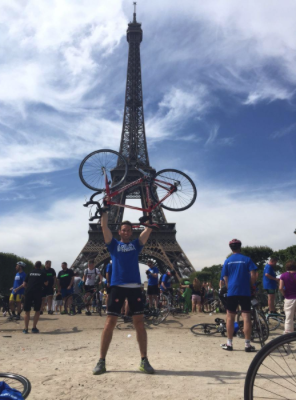 A huge well done to Joe Al-Khayat, for completing the London to Paris cycle over the weekend. Joe has been in intense training and campaigning mode over the past few months in order to raise funds for Headway Cardiff. Thank you very much to all who donated to this exceptional charity. so if you haven't already done so please follow this link to the Just Giving webpage. "thank you to those who donated to Headway Cardiff"